Cardiff & Vale Health Charity recently received a cheque for an amazing £12,123 which was raised by those who took part in the NHS at 70 bed push, 5k and 10k at Cardiff Bay earlier this year. Hundreds of people turned out to take part in the NHS at 70 bed push and 5k and 10k run at Cardiff Bay on 20 May 2018. 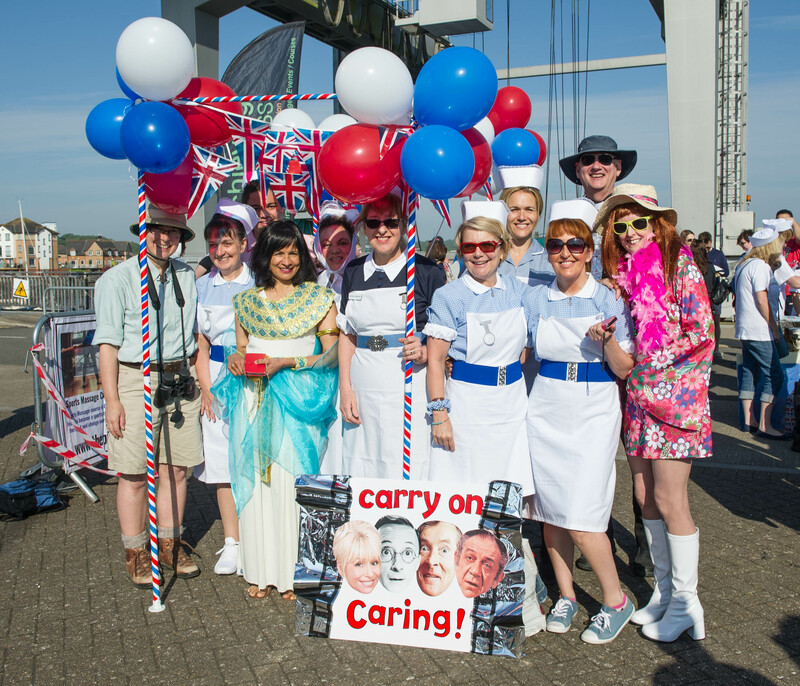 Sixteen teams took part in the bed push challenge at Cardiff Bay Barrage, with wonderfully decorated beds and team spirit a plenty. 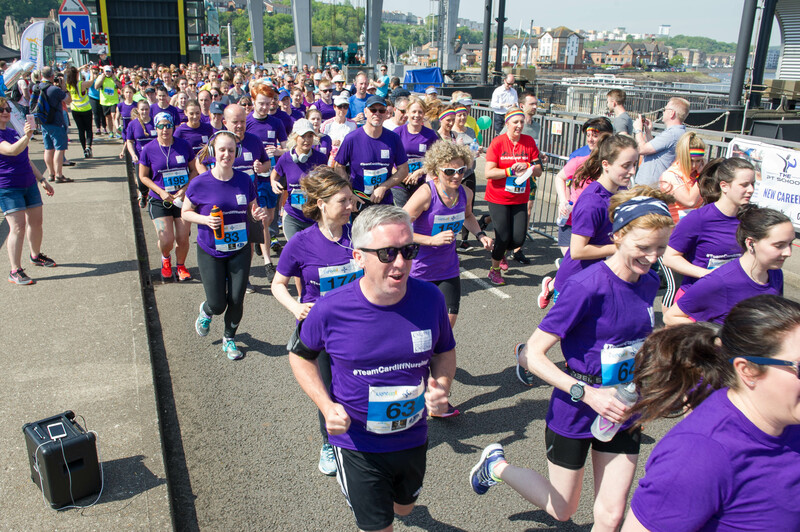 Almost 300 people took part in the 5k and 10k run around the Bay. 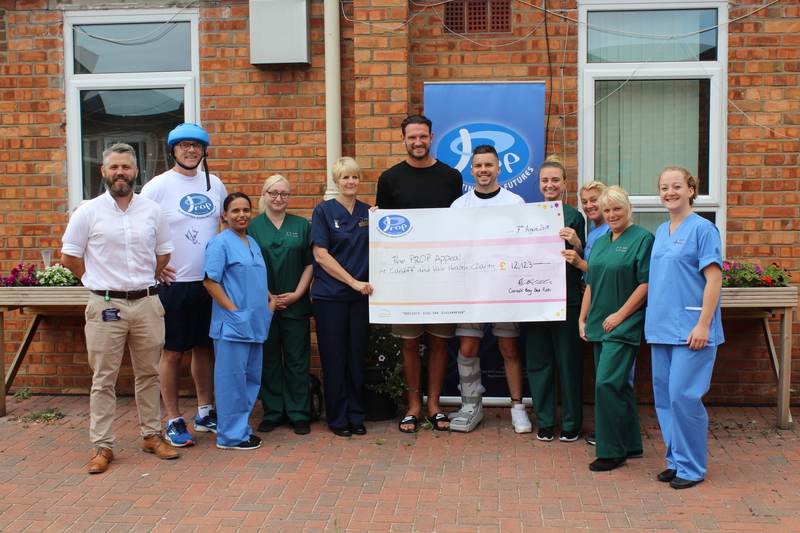 Staff and patients came along to the cheque handover, which was kindly attended by Sean Morrison, Captain of Cardiff City football as the club will be supporting the PROP Appeal during this upcoming season. “I’d like to say a special thanks to Light Up Events who did a fantastic job in helping to organise the event and who donated a portion of the ticket sales to our charity. Paul Harrison, Professional Lead for General Podiatric Practice at Cardiff and Vale University Health Board was at the cheque handover as he helped to organise this event. Paul was instrumental in pulling the event together, as in November 2016 he had a traumatic brain injury and is passionate about giving something back for the kindness and care he received.